We were blessed with clear skies and sunshine at our House Athletics carnival last Friday. It was a day filled with spirit and good will. Thank you to the parents who helped out on the day and to Mrs Wendy Martin, Head of Physical Education, PE staff, Mr Byrne and the House Advisors, student leaders and staff. Congratulations to the winning House, Benedict. The families who attended the “Starry Night” telescope viewing evening had a lovely time thanks to the P&F and the Science Learning Area. Families had the opportunity to view the constellations whilst enjoying wine, cheese and soft drinks in the Treetop Café. Families were escorted to the top floor of the Catherine Centre to view the telescope. My thanks to Ms Aoife O’Shea, Mr Andrew Stuart and Dr Keady from our Science Learning Area and Lisa and Terry Sampson from the P&F for a relaxed and informative evening. 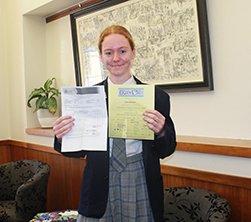 The NAPLAN tests were a focus for the Year 7 & 9 students this past week. Whilst NAPLAN gains substantial media attention, it is important to continue to focus on a holistic education for our students; spiritually, emotionally, socially and academically. Thank you to Mr John Sullivan, Deputy Principal for coordinating the National Tests. As mentioned in the last few newsletters, the interviews for prospective students for Year 7 2020 (current year 5 students) is well underway and will extend throughout this term. Enrolment places are limited and parents are urged to submit an Application Form as soon as possible. Please email Mrs Angela Lourens for an Application Form. It has been wonderful to receive very positive feedback from prospective families regarding the etiquette and conduct of our Tour Guides and the students they have interacted with in the classes whilst on tour. Well done to all students. I am incredibly proud! 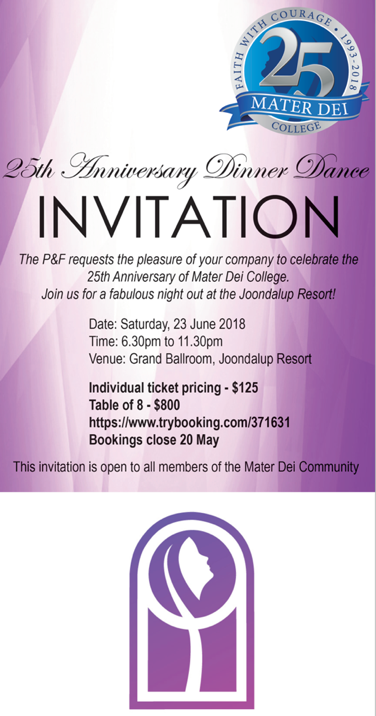 The 25th Anniversary Dinner Dance is fast approaching. I am looking forward to meeting with past and current families on Saturday 23 June. The OLNA results from the March round of testing have been received from the School Curriculum and Standards Authority (SCSA). The updated OLNA Status of students in Years 10-12 have now been uploaded to SEQTA for students and parents to access. Well done to those students who have now met the literacy and numeracy requirements for secondary graduation. For students who did not pass one or more OLNA assessment components in the previous round, the next opportunity to complete the OLNA is shown below. Students will be notified of the specific date, time and venue they will complete their assessment/s closer to the testing dates. Please do not schedule any appointments during this time. Mater Dei College has purchased an online subscription to support all students who need to pass the OLNA. This package enables students to practise questions from past OLNA tests, and provides specific feedback to students including suggested strategies. 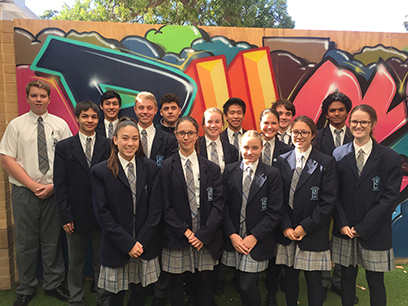 Year 11 and 12 students created their accounts last term and should still be able to login to https://olna.com.au/ using their Mater Dei email address and password. Year 10 students and parents have been sent an email this week and should follow the instructions to create their account. Parents should encourage students to logon to this website and practice regularly in the lead up to the August/September round of OLNA. Any student experiencing difficulty accessing their account should see their English/Mathematics teacher as soon as possible. The race is on for Mater Dei’s debuting Pedal Prix Team who will be competing at the Busselton Pedal Prix Carnival in August this year. Our Pedal Prix team consists of 15 students from Years 10 and 11 who have recently begun to investigate how to make their pedal-powered trike as competitive as possible when they take to the racetrack alongside hundreds of other teams. If you are keen to help the MDC Pedal Prix team get to Busselton, we are currently looking for sponsors to help with transport, accommodation and various other costs. We would welcome any assistance and who knows, maybe your business logo can be printed onto the student’s Pedal Prix uniforms! For more information about Pedal Prix, visit http://pedalprix.com.au/ or contact Ms O’Shea directly ataoife.oshea@mdc.wa.edu.au if you’re keen to sponsor our team! 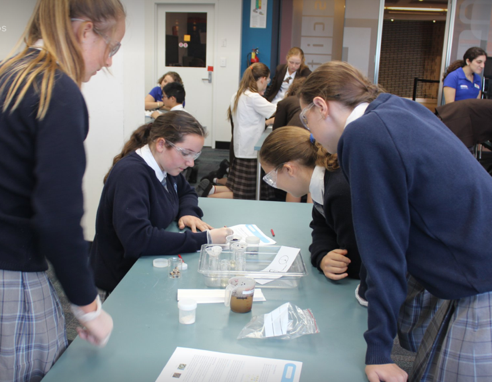 On Wednesday 9, May, a group of year 7 and 8 students were lucky enough to go to Scitech for a day. When we arrived, we went into the planetarium where we were told what was going to happen for the day and a scientist talked about the importance of water including some very interesting facts such as how you can recycle sewage water. We watched an amazing video about water on their huge screen and I felt as if the whole room was moving. It was so mesmerising and intriguing that I couldn’t take my eyes off the screen. Our next task for the day was to create a filter in order to turn dirty water into fresh water for a village of 50 people. The group that did the best would get a special prize at the end of the day. There was a lot to take into account in order to keep the water clean and it took a lot of hard work. We first used some maths to find out the amount of water needed to flow out from the filter at a constant speed that would allow each person 2 litres of water in a day. Then we tested different materials to observe which would work the best. Once we had the results we assembled the filter and performed some tests. 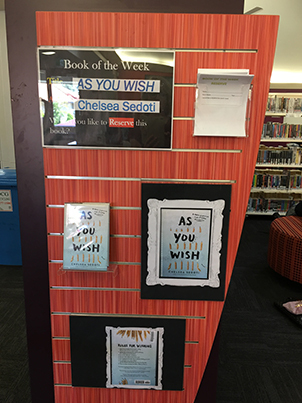 The year 8s and I changed our design many times to make it work better but unfortunately, we did not win a prize. We came to the conclusion that we should have used different materials for the filter. Overall we had a great day and were lucky enough to explore gadgets and inventions on display. Open your mind to the wonderful world of science with the ECU program. You will be surprised by the incredible variety of our science programs, and be amazed by the unbelievable achievements of our scientists. Our interactive workshops are led by a welcoming team of scientists from across the STEM disciplines, who will share with you their passion for what they do. Our program will enlighten students to the fascinating world of marine biology and environmental science, engineering with motorsport and robotics, biomechanics and sport analysis, medical science, physics, chemistry, math and computer programming. Our super friendly team will ensure you have loads of fun, enjoying a range of social activities, alongside opening your minds to the endless opportunities of future study and careers in STEM. In 2017, the then-Year 10 cohort, embarked on the journey to gaining our provisional licenses. It all began in Health when we were introduced to the Keys 4 Life program that consisted of 10 sessions which would earn us our Learner’s Permit. In each session, our Health teachers worked with us and taught us the road rules that we would need to abide by when driving. We also learnt about road safety and how to keep other people as well as ourselves safe whilst driving. In Term 3 of 2017, RAC also came to our school to conduct a presentation highlighting the importance of the safety of driving through the use of anecdotal videos from real life incidents. After the 10 sessions that were conducted during class we sat our Learner’s Theory Test and were successful in gaining our Learner’s Permits. The Keys 4 Life program has been extremely beneficial in preparing us for driving on the road. It has taught us how we should conduct ourselves whilst driving and the importance of road safety at all times. To complement this program, the now-Year 11 cohort were able to secure spots at the popular RAC B Streetsmart event at Perth Arena last term. This event was designed to make young adults aware of the rate of fatalities and injuries of young Western Australians, and what we can do if we are involved in a car accident. The day consisted of a live re-enactment of a car crash, which opened the eyes of the thousands of students in the arena to how dangerous the roads can be. We then heard from a variety of people, including accident victims, road trauma doctors and an emergency response personnel. The personal stories and raw images shared with us gave an insight to the harsh realities of road crashes and enabled us to think about the consequences of reckless driving. In my opinion, the event was super beneficial to all that attended and we are thankful to Mr Green and the staff for providing us the opportunity. I know I can guarantee that because of that day, I will now be a lot more cautious when on the road. In the April school holidays, I recently completed the compulsory 50 driving hours and sat my Hazard Perception Test. The test comprised of approximately 30 questions, which thankfully I passed, and granted me the opportunity to sit my Practical Driving Assessment which I also passed. I am now capable of driving on my own and have my Provisional Licence! I really think that the Keys 4 Life program along with the RAC events really helped me to become a better driver and I strongly suggest that all future students pay close attention at the events because they really will help. Students in the Visual Art department have been busy creating a range of projects from 3D sculptures to 2D paintings. This is a productive time of the year as the student work begins to take shape in preparation for our showcase exhibition later in the year. Alongside the student work a new initiative “Salvado Walls” is beginning to evolve. 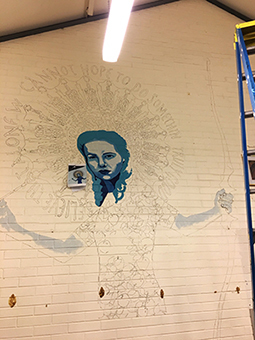 Ms Valentine Vagg is currently leading this charge with her beautiful mural located in Salvado 8.She is in the initial stages of her piece and will soon need volunteers to help beautify the art rooms. A number of other Salvado wall designs are in the pipeline so if you are interested in mural design or volunteering pop down to the art rooms for further information. Everyone and anyone is welcome. You don’t have to be good at art or super talented to be involved. 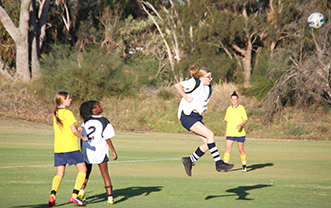 Emily Bennett (Year 10) has been chosen in the West Perth Football Club’s Colts team this year and it was also recently announced that Emily has been selected in WA State Academy 16’s AFL Team – A pathway for elite female youth players to progress into State 18’s academy and AFLW league. 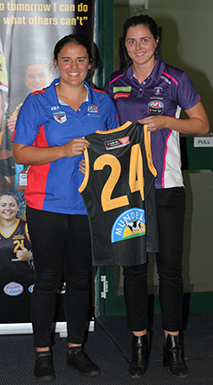 Emily began playing football when she was selected in the Mater Dei College Hawks AFL Academy in Year 9 and responded quickly to the training – working her way up the ranks and into the Senior Girls team by the end of the year. MDC def Woodvale B 3-2. 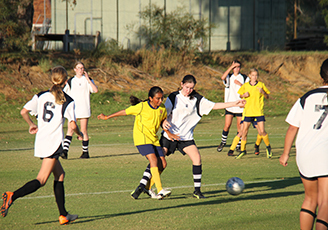 Tuesday 16, May the junior girls played their first match in the School Sport WA Champion Schools Football Cup at home on a superb autumn afternoon. Being our first game together we were unsure how the team was going to gel and the arrival of a Woodvale team always makes us nervous. 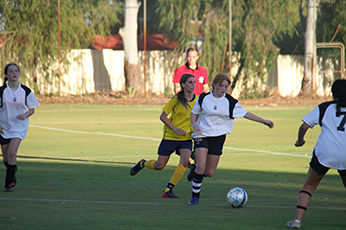 The game started out at a brisk pace with both teams fighting hard to get the ball into attack. Midway through the first half we scored the first goal off the boot of Andrea Moyo. Woodvale equalised towards the end of the second half for us to go into half time 1-1. The contest continued to be hard fought in the second half and Woodvale were the first to score, to take the lead. Faye Doherty then scored our second goal to bring us to a draw once again. Towards the end of the second term, Andrea scored another goal to cement our win 3-2. Congratulations to Sara Combes, who played an excellent game as keeper and Taylah Stewart who worked tirelessly in defence. Thank you to the parents who came along to support the team, Lachlan Daley-Graham our linesman and Jamie West our Football West Referee. This term while our Year 10 students are exploring and contemplating Subject Selection for their future pathways, I would like you to consider Vocational Education as a more than viable pathway for successful transition between school and the workforce. We need to prepare our students for a world that needs problem solvers, critical thinkers, communicators... people who have practical experience and industry exposure. Apprenticeships and traineeships have suffered in recent years, perhaps due to an uninformed perception, automation and qualification escalation. 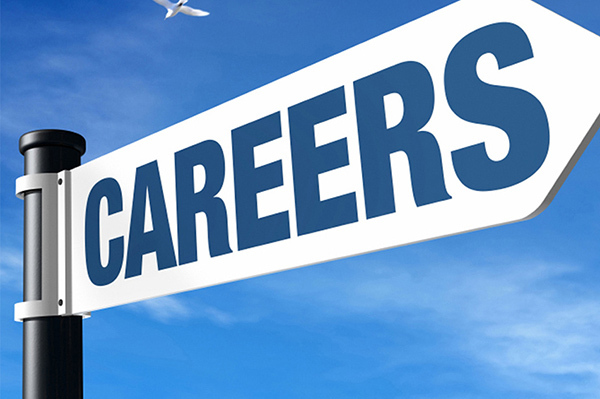 Apprenticeships and trade roles in general are commonly seen as a fall-back option, rather than a career choice that requires skill and dedication. University is often perceived as the pinnacle of education and for some subjects and students, that is probably true, however, it discounts the opportunities in the VET sector. 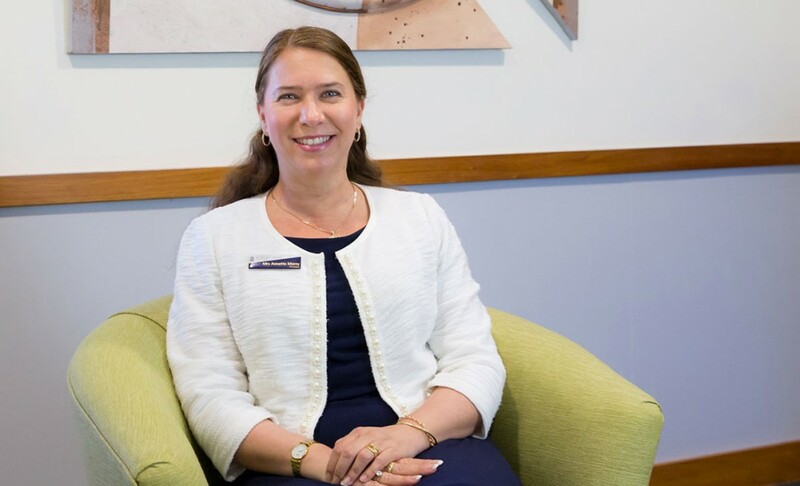 To aid us in our decision making The Career Industry Council of Australia has officially launched a new campaign entitled - “VET. It's Right Now” the campaign sets out to shift perceptions about the value and benefits of industry-focused training and raise awareness of the range of Vocational Education and Training opportunities and career pathways open to young people. The campaign communicates real stories, with a focus on new and surprising information and industries, through a rich and engaging video series and accompanying resources. ECU is again offering revision sessions for current Year 12s in September. The list of the sessions and times is below but please ensure your students register online. These sessions typically book out early and are free to attend. Below are the sessions that are being run at Joondalup campus. Bunbury will also be running sessions which you can view here. Applications for the Year 10 & 11 Science, Health and Engineering camp through the School of Indigenous Studies are now open. The camp provides participants with hands-on experience of science, engineering, medicine and technology. There is an emphasis on fields relevant to Indigenous communities in Western Australia, including sustainability, health, ecology, conservation, infrastructure, water, energy and mineral resources. There is no cost to participants for attendance or travel. Applications close on 1 June 2018.